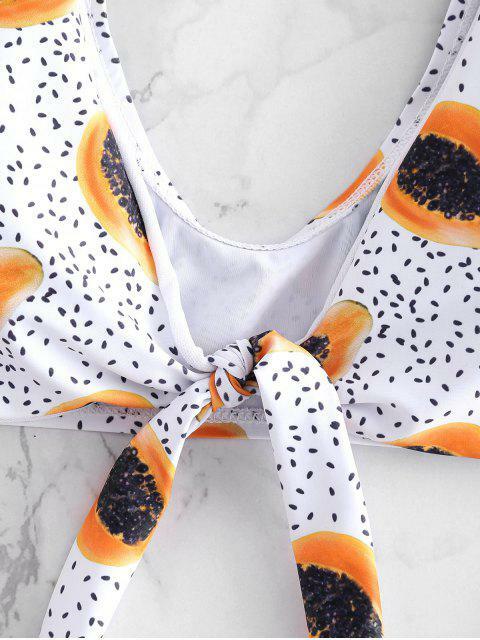 [43% OFF] 2019 Papaya Print Knot Plunge Bikini In WHITE | ZAFUL .. This bikini was slightly large on me, but still fits. The colours are great! I love the print. This fits exactly as the chart measures so follow closely. I ordered a size large, but probably would order a medium next time.My info: 169cm/5'7 tall, size 36C bra, 140lbs, wear size 6.